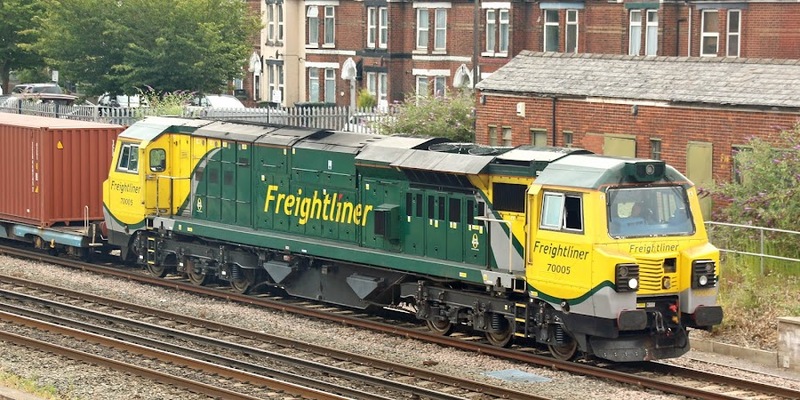 70002, 70003 and 70005 were re-instated earlier this month. 70003 was noted at Maritime on Saturday 21st. 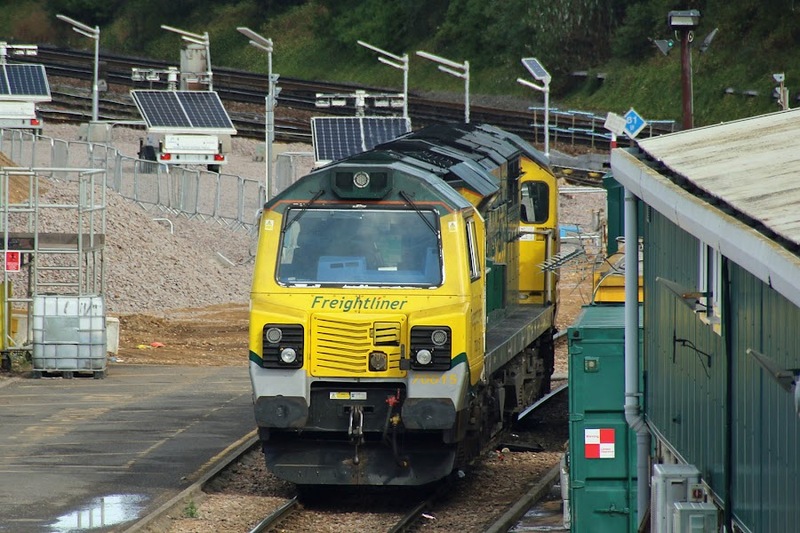 70005 ran 30 minutes early with 4M99 17:00 Maritime - Trafford Park, but was held here at Eastleigh. 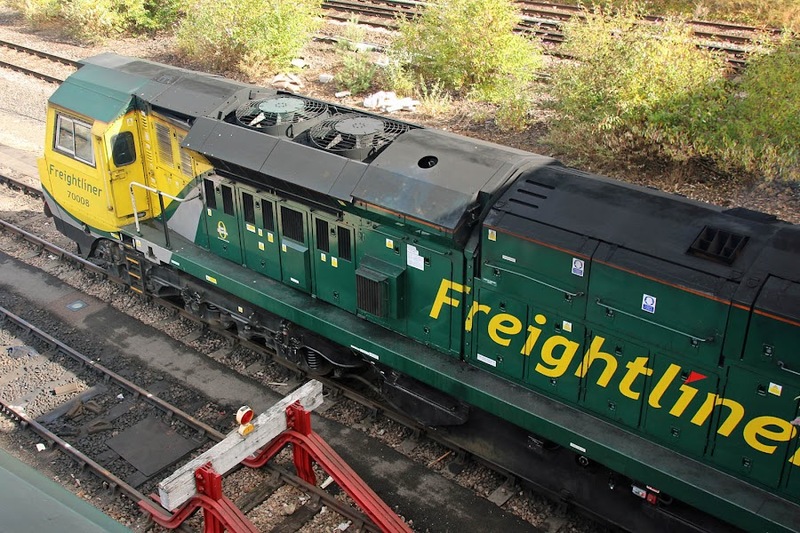 The recently re-instated locomotive appears to have received repaired / refurbished bogies. Compare wih 17th March. 70003 similarly appeared to have very clean bogies when seen a week before. 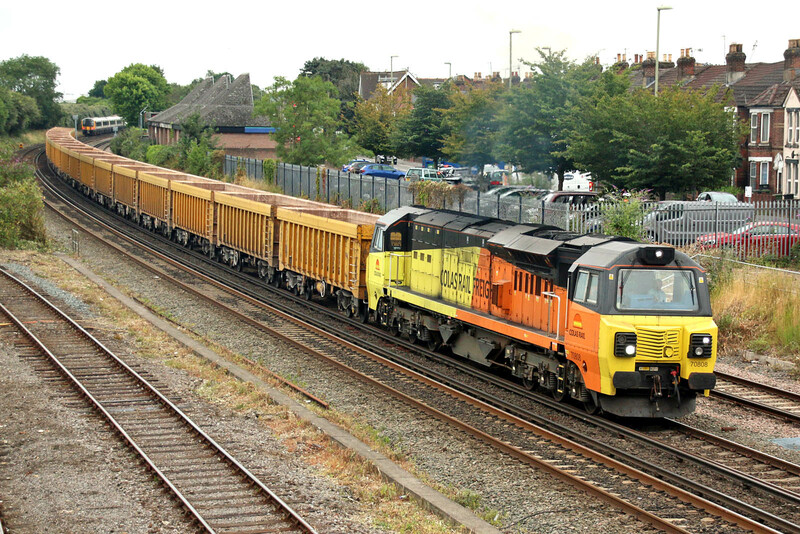 Colas 70808 arrives with 6O31 17:30 from Westbury, formed of a consist of Network Rail IOA box wagons. 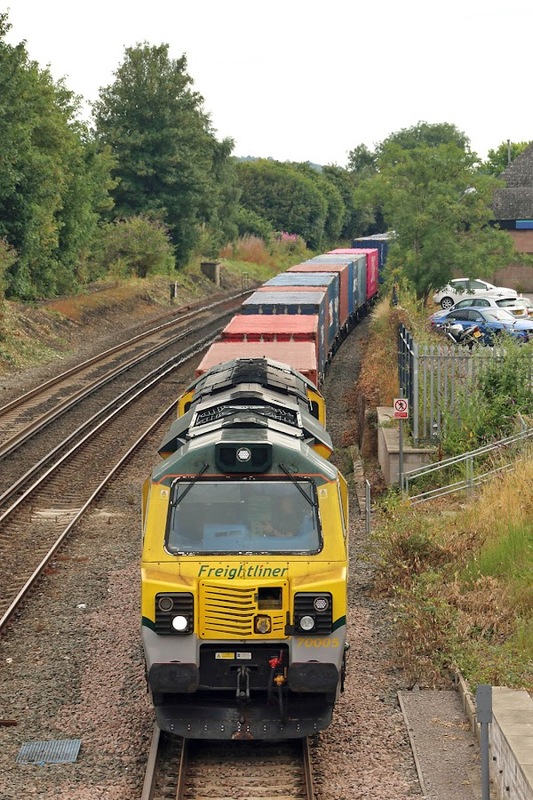 70008 at Maritime also has a clean set of bogies - it came out of storage a bit earlier than 70005, in mid-June. Currently assigned to shunt duties at Maritime, was in normal usage on Wednesday 25th. 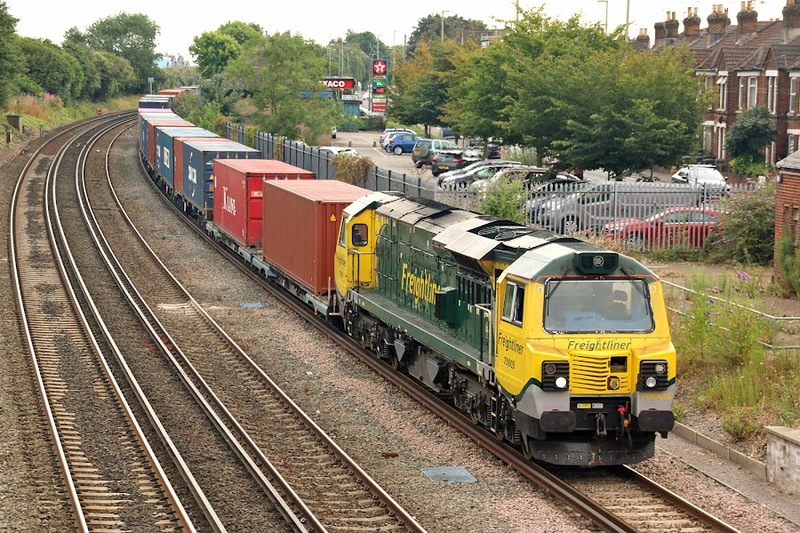 70015 was also present at Maritime - this seems to have arrived on Friday evening.